There Are Lots of Fitness Programs Out There. 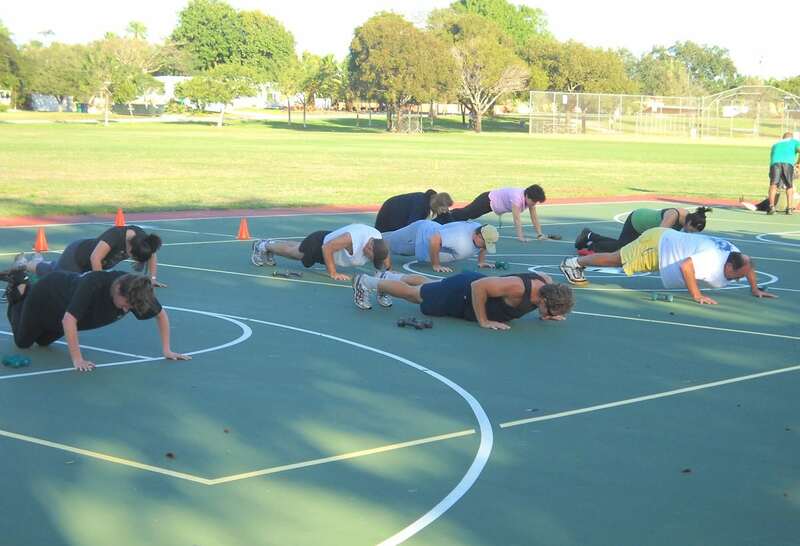 Why Not Choose Miami’s Best Bootcamp? FAT BLASTING workouts. You’ll do exercises that use LOTS of muscles simultaneously, so you burn major calories in our workouts. BOREDEOM BLASTING workouts. We do fun stuff in camp you just won’t or can’t do on your own. We do cardio drills, strength training circuits, and group games. It’s non–stop action and non-stop fun! No two classes are ever exactly the same. SMALL GROUPS: You’re not one of 25 or 30 when you’re with us. We cap our camp size to give you the attention you deserve. BUDGET FRIENDLY workouts. Our membership packages make getting personalized fitness training affordable. We give you personalized attention in a small group at a fraction of the cost of one-on-one personal training.